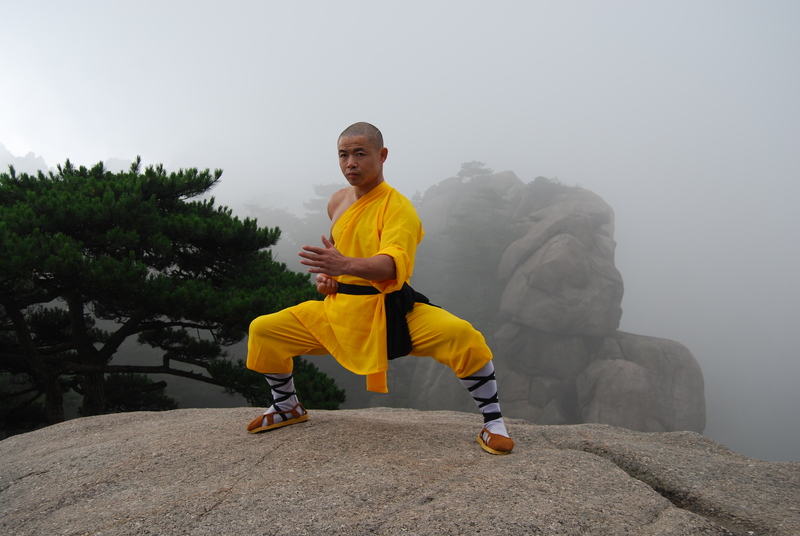 Shaolin Temple Martial Arts focuses on health from the inside out. Skin is the largest organ in our body. Through regular massage, we look after this outer organ as well as all of our inner organs. I have been doing this massage ( I use the metal brush as well as the bamboo brush) for more than twenty- five years now and still gain as much benefit today as I did when I first started. Please share your experience with the Instant Health Massage in the comments below. 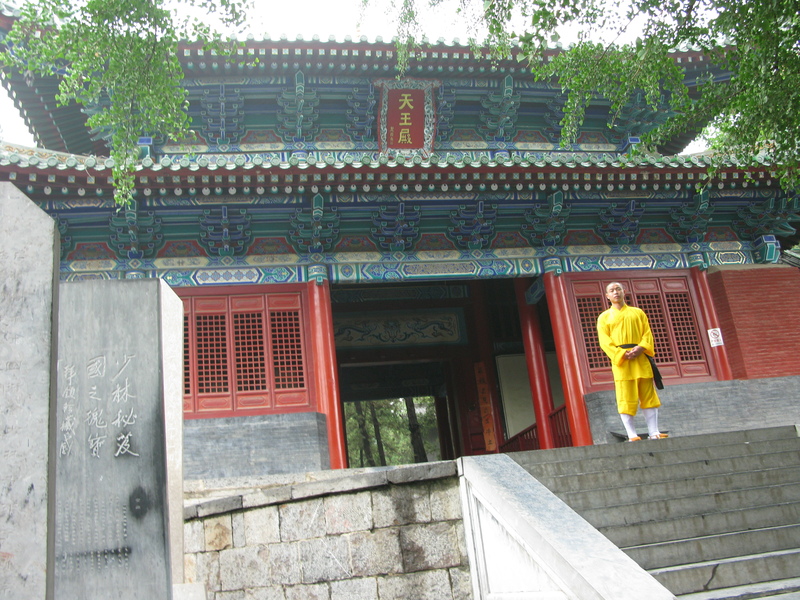 When I was a boy at the Shaolin Temple, my master told me the natural state of our mind is open and peaceful. It’s hard to believe this when we’re in the midst of anxiety, turning a problem over and over in our mind. The more we think, the worse it gets. Chances are the texture of our breathing has changed, and our stomach is tight. It’s these small changes in the energy of our body that overtime can play a part in creating illness. 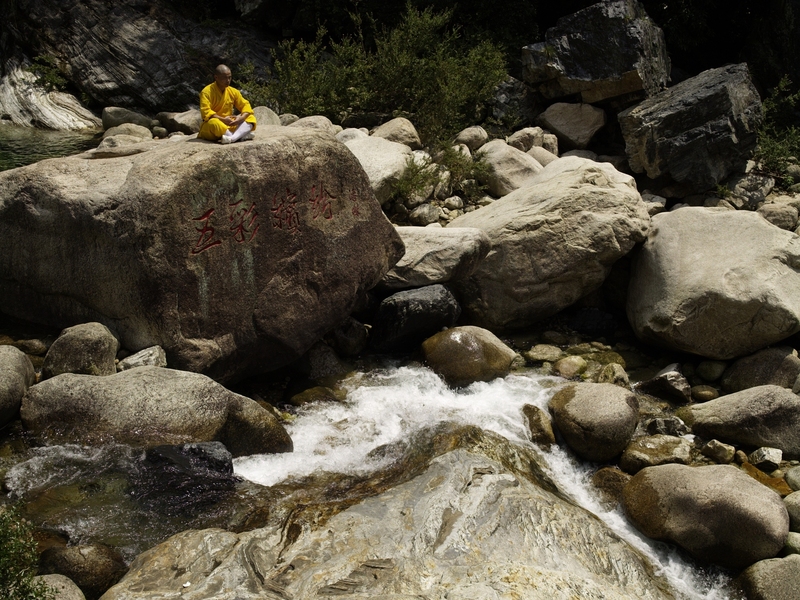 The thoughts that create tension are a type of Qi. Our energy is totally taken up by them. They are a wind, catching us and lifting us off our feet. In order to transform confusion into clarity, we need to use a different mind to the mind that is immersed in our problems. We need to access the mind of openness. An effective way to do this is by moving through a Qigong form. It’s impossible for an anxious mind to exist inside a relaxed body. As we move through the form, our Qi shifts naturally and effortlessly, without us having to use our mind. Our body is wise. Rather than getting locked up in the tightness of our anxiety, we use our body wisdom to relax. 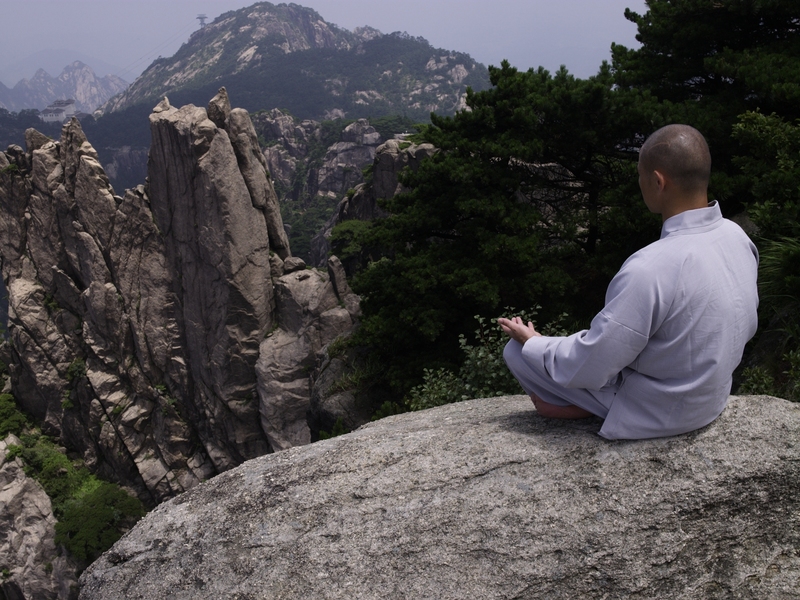 If you are very stressed you may need to do Qigong for an hour, or you may feel relief after only a few movements. Once you have completed the form, your lungs have expanded, your body is relaxed, and all tension has melted away. This is because you’ve stepped out of the Qi of anxiety and into the Qi of peace. Your problem is still there but it’s no longer unmanageable. From this big spacious mind, you now have clarity. Thoughts and worries are only clouds in the sky. 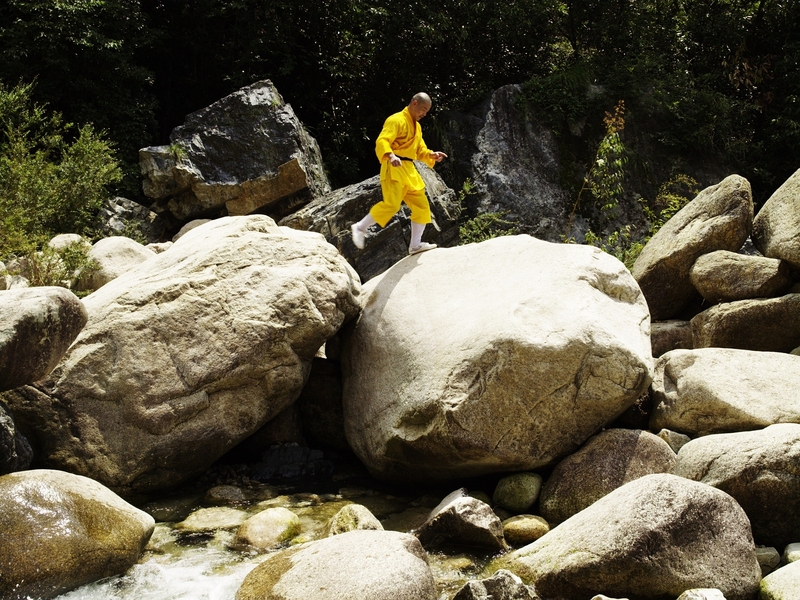 Shaolin Qigong blows them away and enables us to get back to an open mind, clear of confusion. You can then incorporate these peaceful feelings into your every day life by practicing walking, sitting, eating and drinking tea meditation. Habit energy is strong, pulling us back to our untrained ways. This is why the meditation aids I brought from China are not cushions or mala beads but every day items such as key rings, lotus bags, malas, and amulets. Jade Energy stones can sit next to our computer as a reminder to bring us back to the present moment. 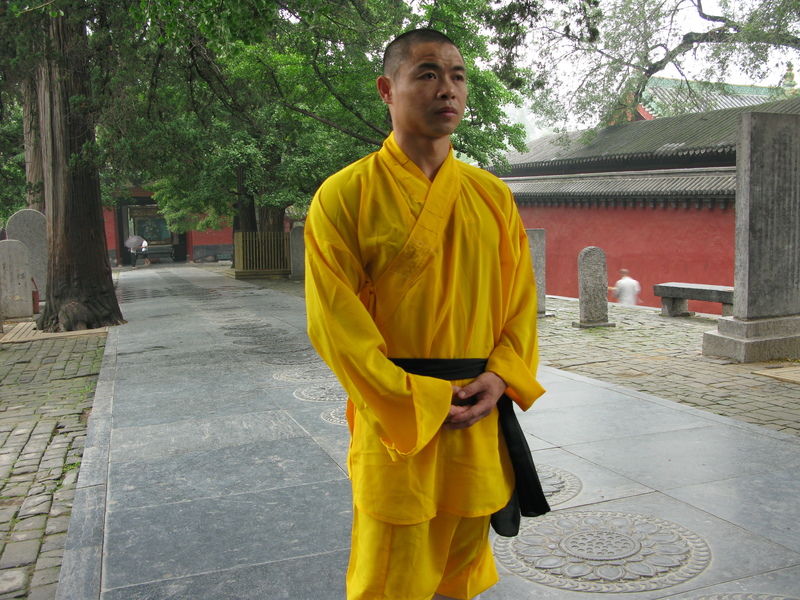 Bringing Shaolin into day to day life is the heart of Zen practice. One of the questions I get asked the most is about diet. I’ll go into the specifics of food in a later article, but here’s a 6 Step Plan to get you started! I’m not suggesting you get up at 5 am like we do at the temple but make sure that you eat a good breakfast within an hour of waking. A study from the University of Texas showed that the fewer calories people ate early in the day, the more total calories they ate during the day as a whole. Try to eat at least 25% of your calories for breakfast. Eating before you exercise with enhance your martial arts training and increase fat burning. Research has shown that the body burns more calories during exercise after a meal. If it’s a big meal then allow four hours, if it’s a small meal allow two hours, if you’re training early in the morning then make sure you eat a smoothie like the one I make in Urban Warrior. Ensure it contains nuts and seeds and more vegetables than fruit. There is a two hour window after exercise when it’s best to eat food. During this time the body burns calories faster as the metabolism is still working faster. Eating a meal that contains protein, carbohydrate and water helps the body to recover, replenishes the martial artist’s glycogen stores and maximizes muscle to fat ratio. 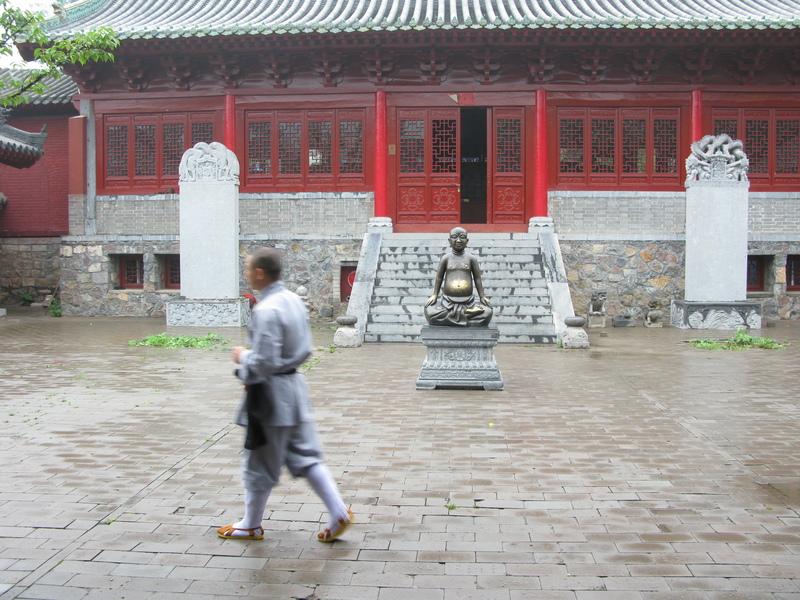 At the Shaolin Temple we eat in silence so we can meditate on our food. Try doing this in McDonalds and I think you will be put off your food. Eating mindfully helps us to really tune into our body therefore aiding our desire to eat healthy foods. It helps us to eat slowly which means there’s more time for us to feel full. Research has shown that mindful eating leads to eating less. Not all calories are the same. Eat lean protein, fresh fruit and vegetables, healthy oils and snack on nuts. Pizza is high calories with very little nutritional benefit. Nuts are high in calories and high in nutritional benefit. Try to eat food that is as close to nature as possible and stay away from processed foods. I’m not a fan of energy drinks or protein shakes. I never heard of these things till I came to the UK. While I know some of my students like to use them I don’t believe they are necessary. Best to get all your nutrients from natural food. If you’ve got into very bad eating habits, my advice is don’t change them. 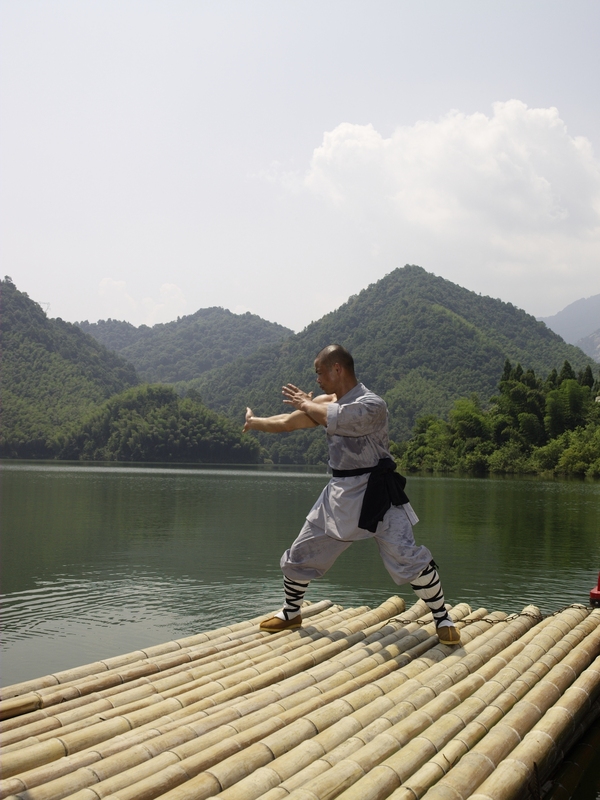 Just start training in both Kung Fu and Qigong. 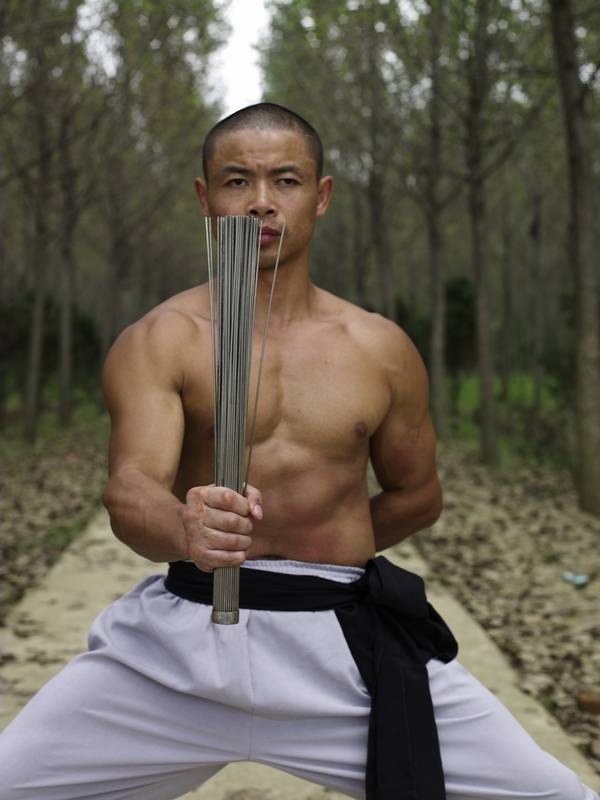 These martial arts change your body holistically from the inside out and you’ll be surprised to find that your body craves healthy food without you having to push yourself, you’ll also find that you naturally eat just as much as you need. Remember, if you don’t eat well then you can’t train well. 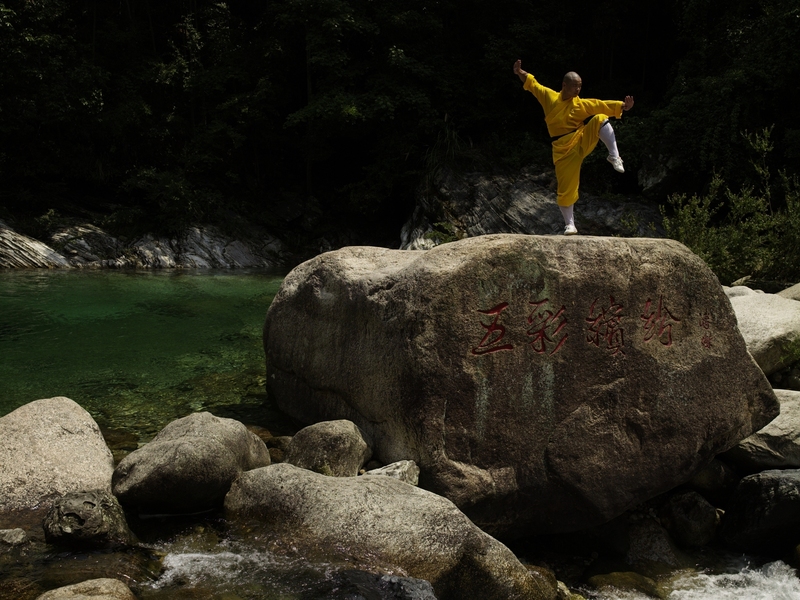 Learn the 5 Fundamental Stances and 5 Basic Kicks – Every Shaolin form, whether it’s Qigong or Kung Fu is made up of Five Fundamental Stances and Five Fundamental Kicks. 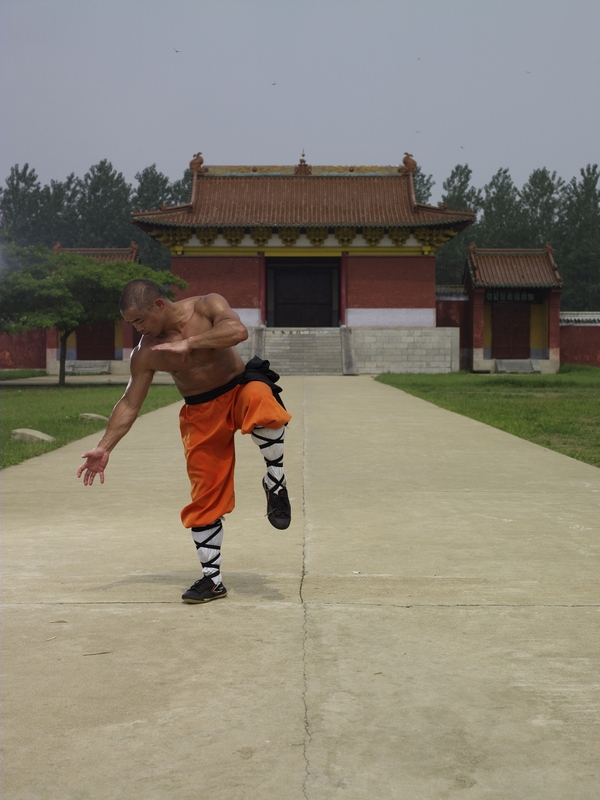 Master these stances and kicks first before you move onto practicing Shaolin Forms. Give It Meaning – Make sure that your breathing, movement, and even your eyes work together. Make your stance have meaning so that people can see you have a strong foundation. 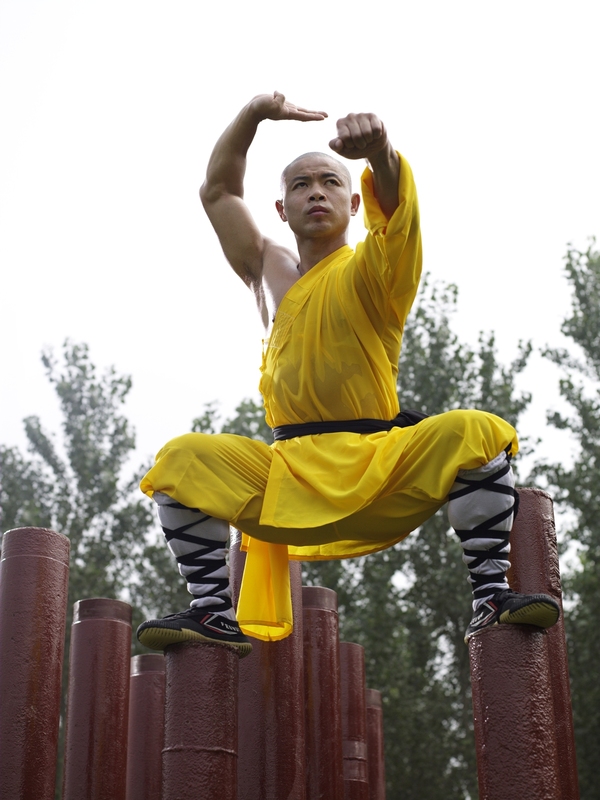 Have Good Flexibility – Most people are familiar with the impressive quick fluid forms of the Shaolin Monks in performance. This is due to their flexibility. When you do the form, you don’t want it to be stiff, you want it to be fluid. Never skip the stretching part of your workout. Use Your Heart – Use your heart to practice each movement so that your form has soul inside. If your mind shifts and you keep thinking of other things, gently bring it back. You need to be right here and now when you practice. 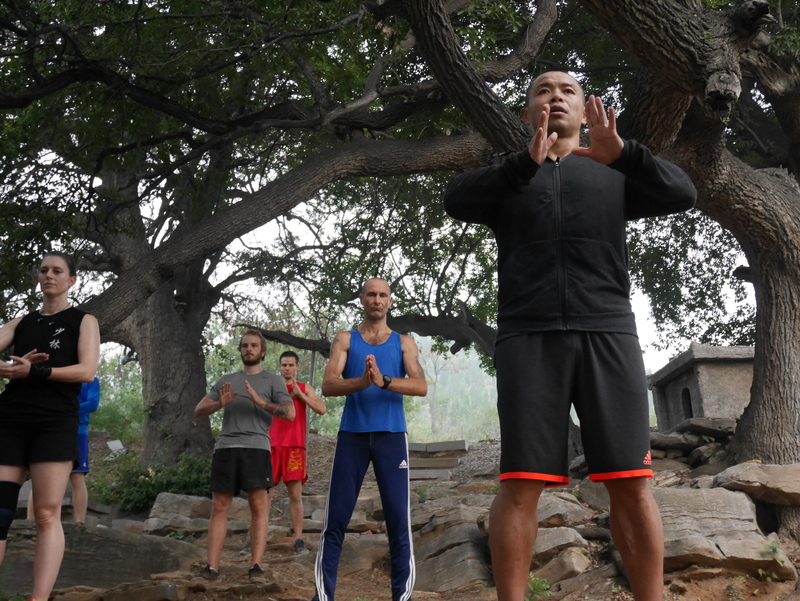 Slow It Down then Pace It Down- It’s a good idea to practice kung fu forms as slow as we practice Qigong so we can get the feel for the movements and get the form exactly correct. Try varying the pace each time you practice and see how if feels. The more you’ve mastered the form, the quicker you can practice.